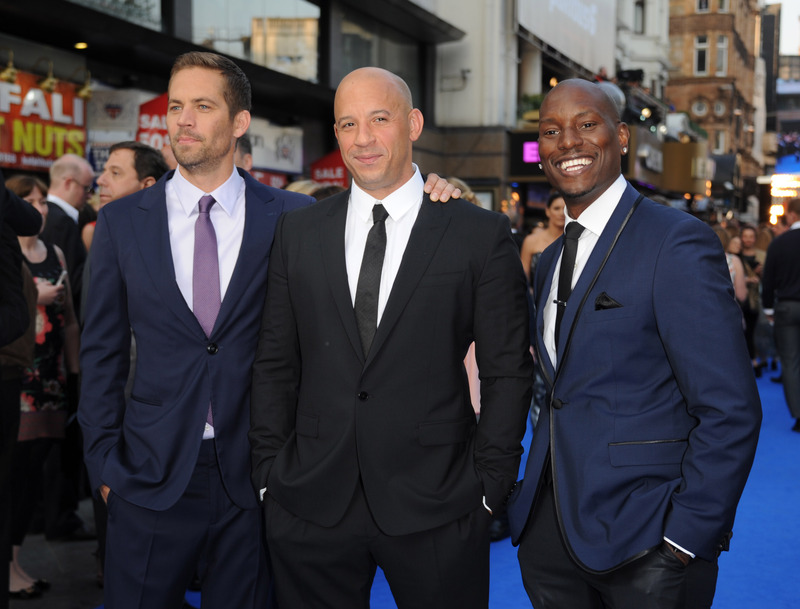 Following Paul Walker's tragic death, the show must go on for Fast & Furious 7. The latest installment of the franchise was filming when Walker passed in a car crash Nov. 30 and was set to be released in July of next year. It's not a surprise that the producers and writers of Fast & Furious 7 are going to have to sort something out for his role, but it's definitely disheartening when you get to the details of the matter because of, you guessed it, money. Meaning, they have to figure out what to do with the already shot footage. Throw it out and start over? Keep it and shoot new scenes to work around it? Both of these are problematic. If Universal Studios goes with starting over, it could lead to the biggest insurance claim Hollywood has ever seen. According to a source that spoke with The Hollywood Reporter, "The studio already has poured about $150 million into the film, a bill that its insurance firm, Fireman's Fund, might have to pay in full if Universal concludes the picture must be started anew." On top of that, guilds like SAG-AFTRA require actors be paid half their salaries while production is on hold. It makes sense then that Universal would want to keep the scenes already shot and have production start back up as soon as possible. So let's look at that option. Fast & Furious 7 could keep the scenes with Paul Walker and somehow work either a death or a sudden departure of his character into the film... both of which sound uncomfortable. Some fans seem to think this could work, though, and that it would be fitting for Walker's character to "die a hero" in the movie as well. One even went so far as to write up a detailed alternate option that honors Walker complete with a touching funeral scene and numerous flashbacks to earlier films. There's no doubt it's going to be hard for the writers and directors of Fast & Furious 7 to come up with something fitting and they'll likely pull it off, it's just strange and sad to think about how much of the process is based around money so shortly after the death of a film's star. A rival studio executive is quoted as saying, "I actually believe [the tragedy] will add to returns." I would look at the original arc of the story and get input from the director, the producers and the studio as to why, notwithstanding the financial impact, the story doesn't make sense to complete. If it doesn't work, it doesn't work. The studio should not have to make a movie it doesn't want to make to accommodate an insurance company. Well, looks like that's as optimistic as it's going to get.